OK, I am committed to trying to get back on some kind of a regular schedule. I will start out with my five flower posts this week alongside my Digital Dozen crew. Today I will begin with my least favorite design of the week. Sadly, it was my favorite in person but I never checked the pictures after I took them. I didn't get the white balance correct so they came out a tad dull looking. The colors were so much more vibrant in person. this was done using some tints over a white stamp. lol, we both did the stamp image today! Too funny when you think of all the floral stamps out there! These are INCREDIBLE! I love them! I hate when I don't check my photos either :( But I'm still drooling over these regardless! wow - stunning! such gorgeous art! Wow this is so BEAUTIFUL! So pretty! I totally understand how you feel about white balance problem. But these look so amazing anyway ;) Really really pretty!! Absolutely love this. The combo of colors is very calming and cooling. Beautiful! I love the colors you chose! If this is your least favorite I can't wait to see the rest! This is amazingly beautiful! I really love this! 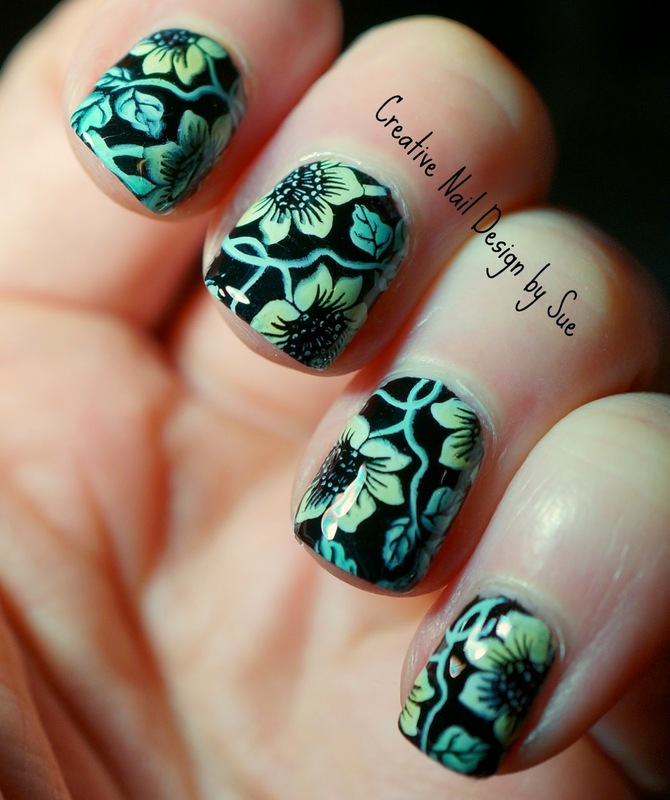 I have yet to try tints over white stamping but really want to! I think this looks great! So so pretty!